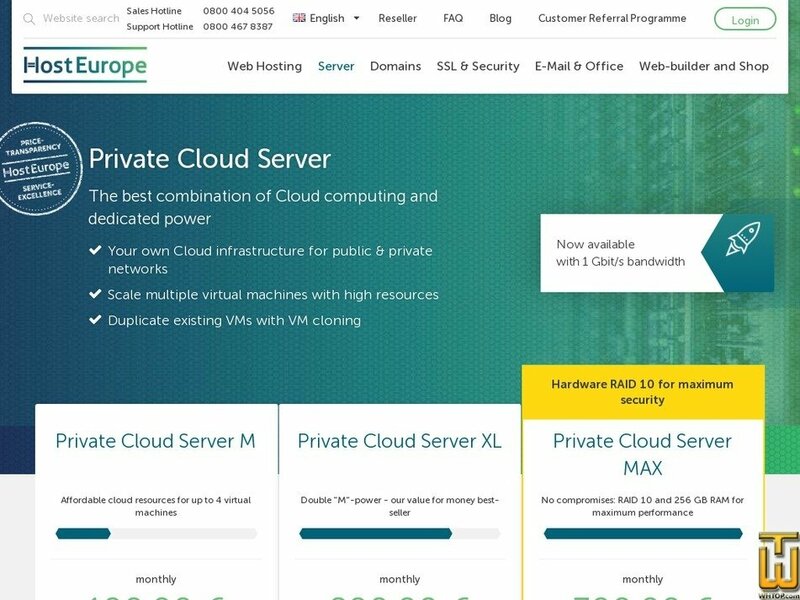 See also original Private Cloud Server XL plan location on their website! Utilise servers on standby at any time to cope with growing demand. This allows you to add extra web servers to your environment with ease. Increase your flexibility: With Cluster IP you get an additional IP address that you can choose to redirect to another server. This increases the availability of your web applications. The routing change takes only 5 minutes. A wide selection of pre-configured operating system templates is available to you when installing virtual machines: Choose between Linux derivatives Ubuntu, CentOS or Debian. You also have the option to select Windows Server 2012 R2. For the installation of individual operating systems, you can use the ISO mount functionality so your Private Cloud Server runs at your preference. Duplicate existing instances at the push of a button and without having to configure your newly created virtual machines. Administer your Private Cloud Server via Plesk 12. With just a few clicks and without any technical skills; you can populate your interface with domains, e-mail accounts, databases, and much more. Price: € 23.90/mo. VAT 19% exc. Plan: 10GB Online-Storage "BackupHD 10-12"
Price: € 1,200.00/mo. VAT 19% inc.
You save 2,400 € / month. Price: € 2.49/mo. VAT 19% exc. No minimum contract period! Pay by the month, or if you only need your Hetzner Cloud server for a little bit, you can pay by the hour.